South Korea’s coffee industry has exploded over the last five years, with dramatic increases in both import and consumption. 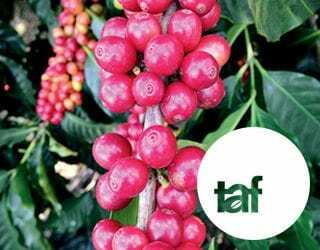 This boom has catapulted the small country to its position as the 11th largest coffee market in the world. 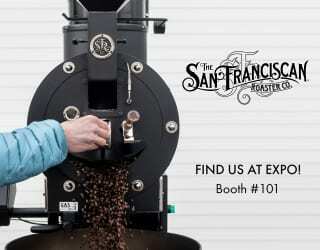 But what caused the sudden upswing of the specialty coffee industry? 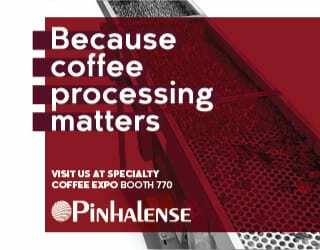 Exposure to new information about coffee? Appreciation for product quality? A strong Western influence? Yes, yes, and yes – but a factor that should also not be overlooked is latte art. 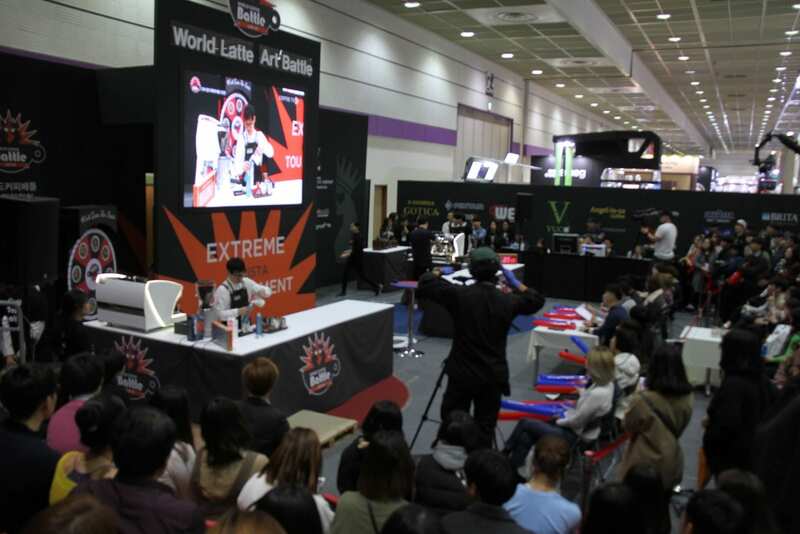 I spoke to several big names in the Korean latte art industry at Cafe Show Korea. Here’s what I learned. In South Korea, beauty is valued. While in some countries beauty is seen as being natural, or even shallow, here it is seen as the product of hard work. And that makes it a goal worth aspiring to. A recent Vice documentary on Korea’s $6 billion dollar beauty industry explained that one in five women undergo plastic surgery. The country has one of the fastest growing and most technologically advanced beauty industries in the world – it’s no wonder that women all over the globe are now buying Korean products in what The Wall Street Journal calls a “beauty boom”. The Korean passion for all things aesthetic has led to a society of beautiful perfectionists. 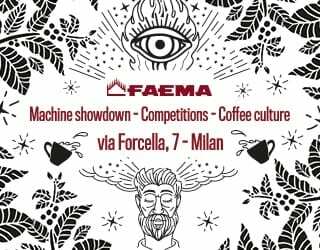 And it’s not difficult to see how this has spilled over into the specialty coffee industry, breeding a World Latte Art Champion and an entire community of “latte art idols”. Latte art started off as 50 shades of brown, but Caleb tells me that Korean artists were one of the first to use food colouring in their designs. And this been catching on quickly worldwide. 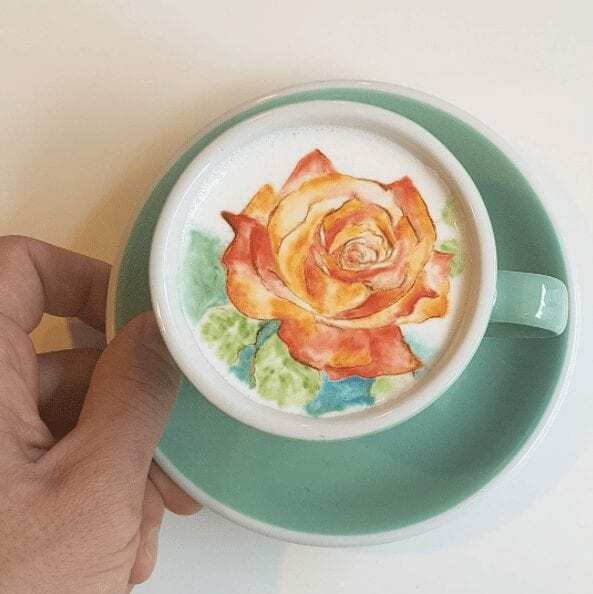 Another big presence in the Korean latte art scene, Lee Kang Bin, has taken colourful accents to the extreme with his invention of Cream Art. When does the art become more important than the drink? 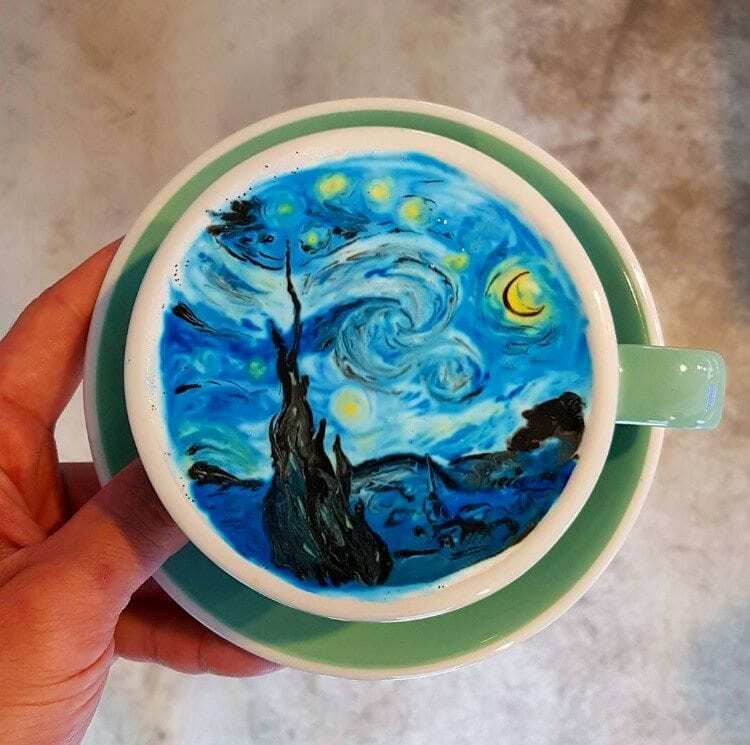 When one of the most famous pieces of artwork ever is in your cup. Oh, and when there’s no coffee in it. 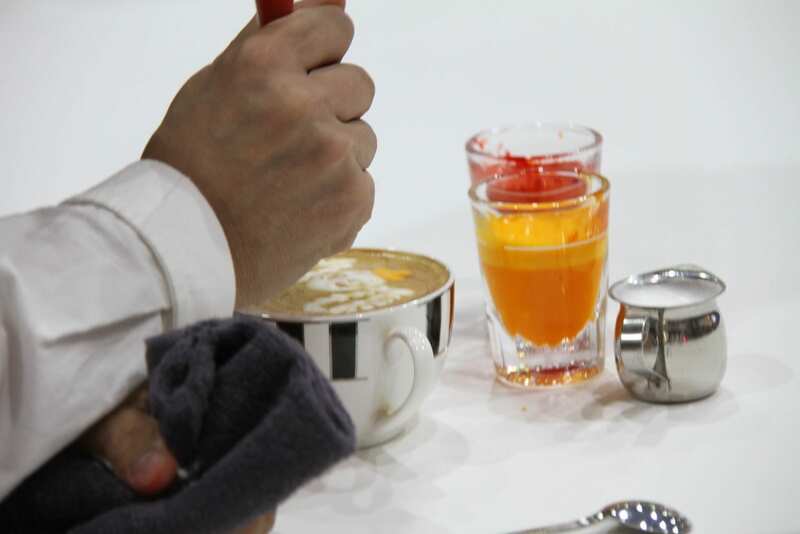 Is Korea Leading Us Into the Future of Latte Art? 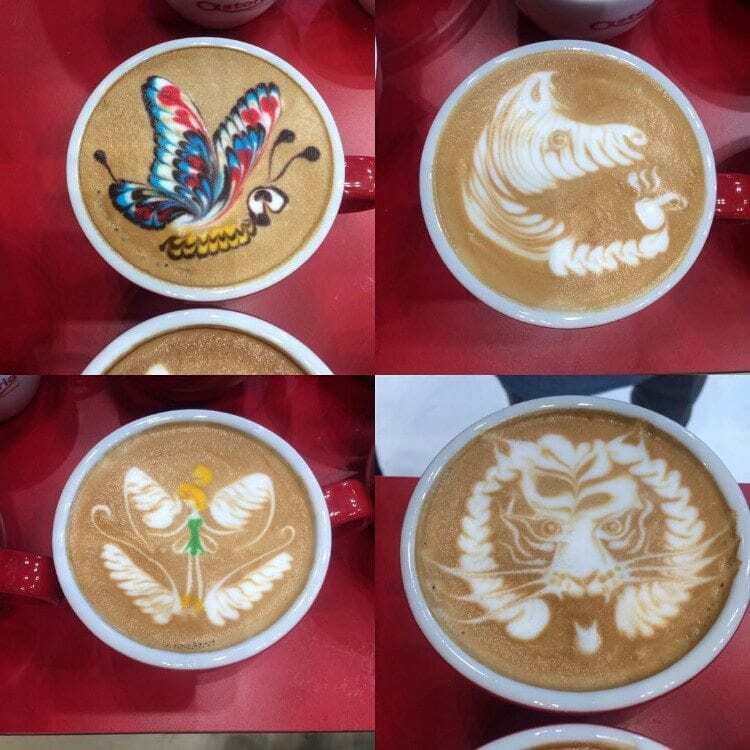 Korea’s not just an innovator in terms of latte art designs, though. They’re also creating new latte art technology. 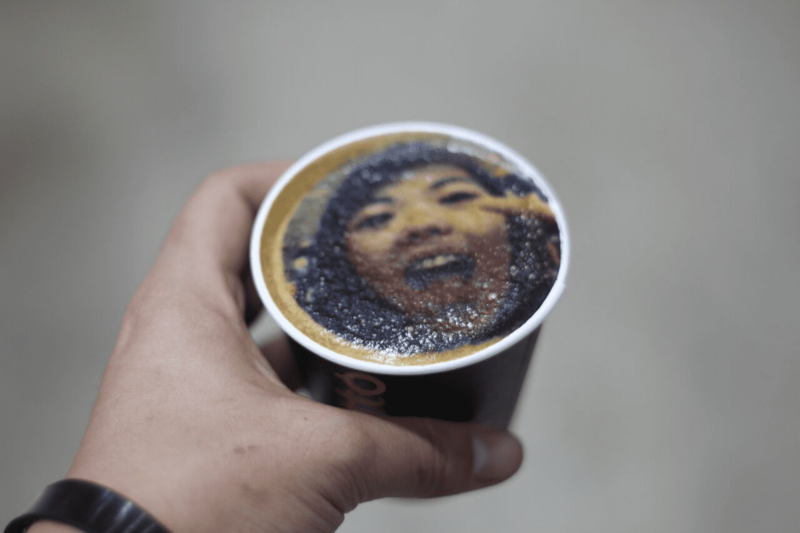 The latte art printer on display at Cafe Show, and already in use in Korean cafés, means you can get your selfie printed – in colour – on your coffee in a matter of seconds. I’ll give you a second to take that fact in. “In five years, I think Korea will dominate latte art competitions. Everyone’s getting super serious and the industry is picking up so fast. Asia in general is the place to look out for in the near future,” Caleb told me, grinning. 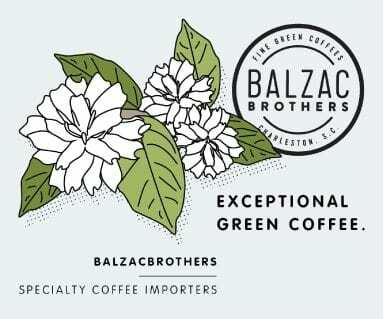 It looks like the Korean coffee scene has a bright and beautiful future ahead of it. Written by Christine Seah, with thanks to Caleb Cha and Lee Kang Bin.